KiiCS (Knowledge Incubation in Innovation and Creation for Science) is a European project that aims at connecting art, science and technology through incubators to boost innovative ideas. It started at the beginning of 2012 and will last until the 31st of January 2015. The KiiCS project is led by ECSITE, the European network of science centres and museums, and 9 European partners from 9 different countries take part in it. In Spain, the person in charge of this project is Gema Revuelta, professor at the Experimental and Health Sciences Department at Universitat Pompeu Fabra (UPF) and Deputy Director of the Science Communication Observatory. Núria Saladié, journalist and MSc in Science Communication, is part of the UPF team for this project and coordinates its activities locally. The Local KiiCS Consortium in Barcelona consists of the following Catalan institutions: Barcelona Activa, Centre d’Arts Santa Mònica, Centre de Cultura Contemporània de Barcelona (CCCB), Consell Nacional de la Cultura i les Arts (CoNCA), Fundació Catalana per la Recerca i la Innovació (FCRi), Fundació Obra Social “la Caixa”, Institut de Cultura de Barcelona (ICUB) and Institut Municipal d’Educació de Barcelona (IMEB). 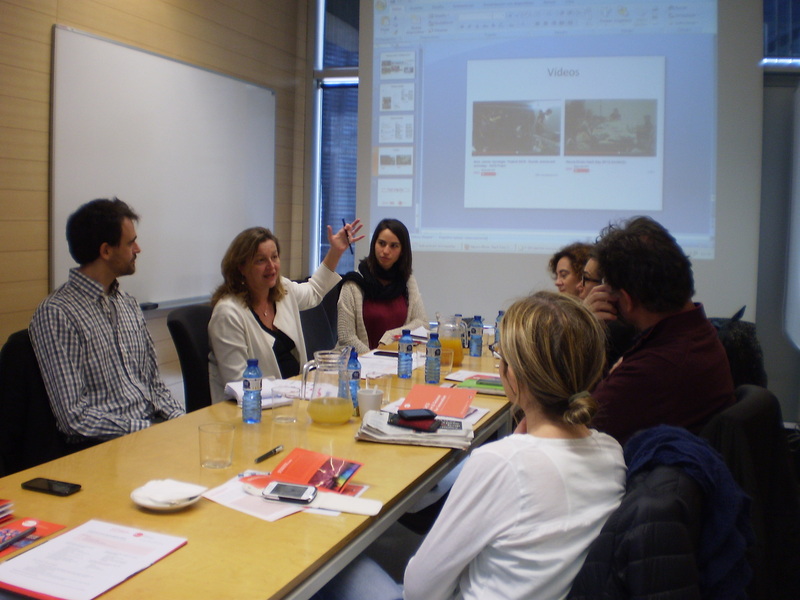 The project has also favoured collaborations (or strengthened existing ones) between other entities from the city and from Universitat Pompeu Fabra, like the ones with the Music Technology Group (MTG-UPF) and SPECS, Phonos Foundation and the companies Starlab and Formas Naturales. Now that the project is coming to its end, an explanation has been given at this final Local Consortium meeting about the activities organized, collaborations created and future projection of the ideas developed in the framework of the project. Provisional results of the external evaluation have also been mentioned, as they are for the moment very positive.